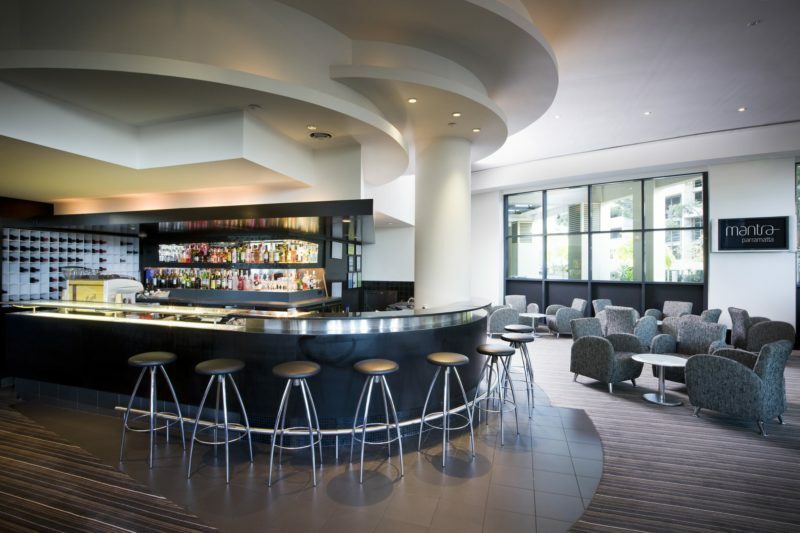 Mantra Parramatta is the ideal choice when mixing business with pleasure, just minutes from ANZ Stadium, The Olympic Park at Homebush Bay, and Parramatta’s business centre. 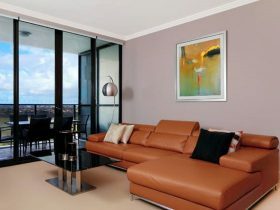 Mantra Parramatta comprises of spacious studios, one bedroom apartments and Spa Rooms all with premium facilities such as individually controlled air-conditioning, broadband internet, cable television, kitchenette, private balcony (apartments only), in-room safe, mini bar, tea and coffee making facilities. 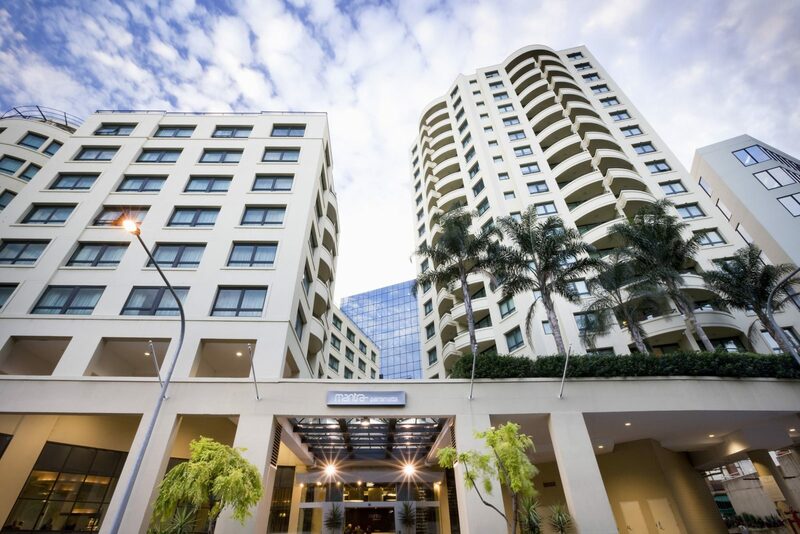 Mantra Parramatta caters to business and leisure travellers who demand and expect quality, comfort and premium facilities. With 24 hour reception, a foreign exchange desk, concierge and leisure facilities including a outdoor pool, spa, gym, sauna, Turkish bath, room service, guest laundry and restaurant and bar. 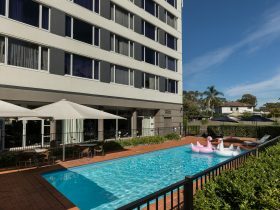 Only 45 minutes from Sydney airport, Mantra Parramatta is only 500 metres to Parramatta Train Station, Westfield Shopping Town, and a short drive to Rosehill Gardens Racecourse making it the ideal base for your next getaway. Spacious One Bedroom apartment with queen bed, separate lounge area, dining area, balcony, kitchenette and laundry facilities. Bedding includes either one queen, or one queen and a sofa bed. The Two Bedroom Apartments features two bedrooms with queen beds, a bathroom, as well as a separate living and dining area. 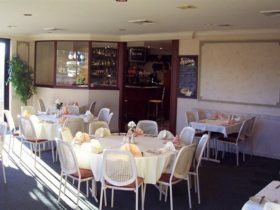 There is a kitchenette, an LCD television with Foxtel , along with wireless broadband and internet access. The One Bedroom Executive Spa Apartments offers a queen size bed, separate bathroom, kitchenette, balcony and separate living and dining areas. The apartment also boats a two-person spa bath for your enjoyment. The Studio Room has bedding configured of a queen bed or two single beds, and features a kitchenette and bathroom. 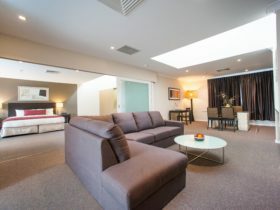 The room also features a workspace with air-conditioning, and LCD television with Foxtel. Spacious Executive Spa Suite provides the comfort of a king bed, kitchenette facilities, along with a large bathroom with corner spa bath. 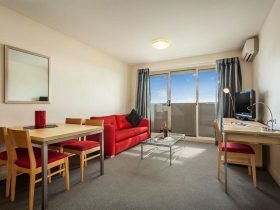 The room also features air-conditioning, and an LCD television with Foxtel. Positioned on the sixth and seventh floors, the Business Studio features one king bed or two single beds, a kitchenette, bathroom workspace with desk and wireless broadband. 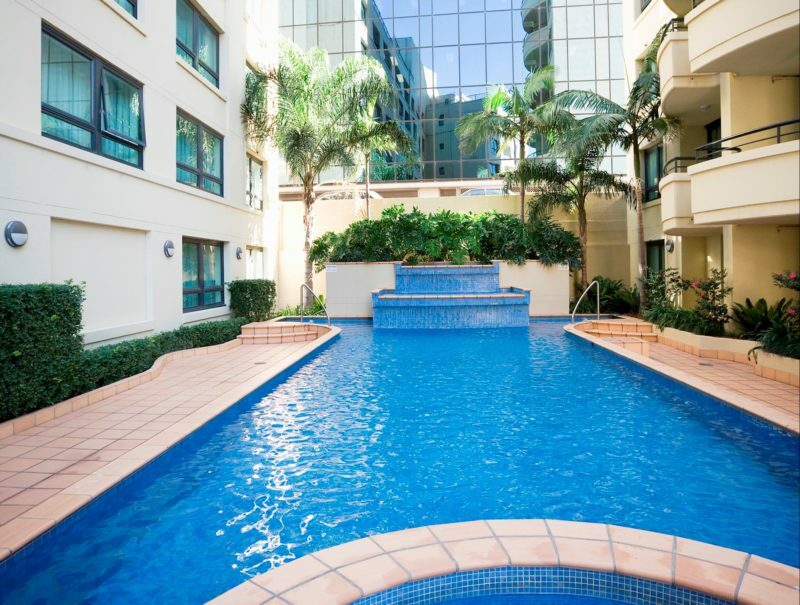 Air-conditioning, and an LCD television with Foxtel, is also included. 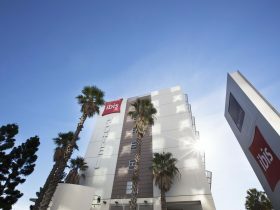 Includes a king size bed, a balcony, living and dining area, LCD television with Foxtel.